Well, we know we’ve been total slackers about our DEAD AIR section of the site, but things are about to get real different. 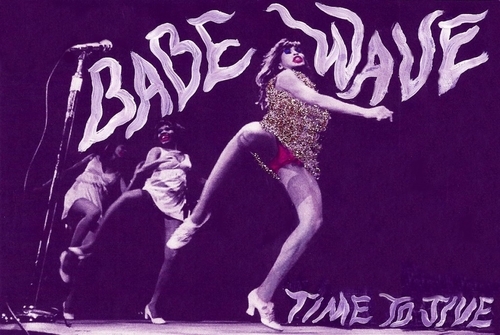 We’ll still have mixes and shows put together by artists and people around town for your enjoyment, but appearing on a much much more regular basis will be BABE WAVE. 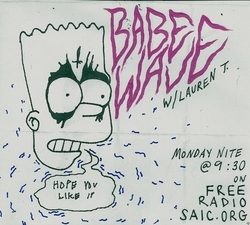 One of our favorite babes, Lauren Taylor, has been blasting the jams from Chicago’s FreeRadio SAIC and we’re stoked to say that her show will now also be hosted here on the ND. She knows how to crank out the tunes. Like this first episode, Breakin’ Up and Makin’ Up, ranges from stuff like The Liminanas to Irma Thomas to The Coupons and on and on and on. It’s really great. Her show airs live on Monday nights at 9PM right here, but we’ll be posting them for your listening pleasure a day or two later. We can always count on her to provide us with an hour or so of sunshine through lots of soul and rock and roll and punk and blues and all the groovy things in between. She also does this thing where she makes sick artwork for each episode [like the one posted below] Girl is an all-around solid babe. Check out the episode and get excited for more to come soon! flyer thangs look xtra good. best ever! better than dillion! We slacked a little on the Babe Wave front last week as we were in and around town taking care of some other business, but we’re back at it to catch you up. LT’s hitting you with the one-two punch on this show packed with sweet soulful girls belting their hearts out. Definitely a nice way to treat your ears for an hour today. 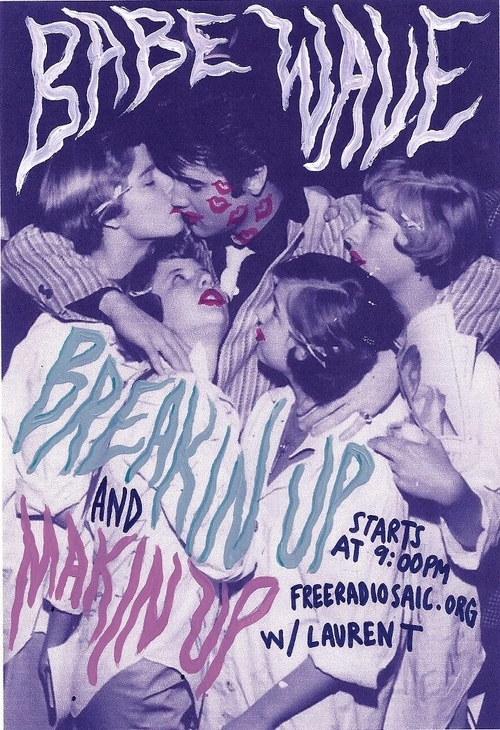 One of our favorite babes, Lauren Taylor, has been blasting the jams from Chicago’s FreeRadio SAIC and we’re stoked to say that her show will now also be hosted here on the ND. She knows how to crank out the tunes. Like this first episode, Breakin’ Up and Makin’ Up, ranges from stuff like The Liminanas to Irma Thomas to The Coupons and on and on and on. It’s really great. Her show airs live on Monday nights at 9PM right here, but we’ll be posting them for your listening pleasure a day or two later. Hope you dig.